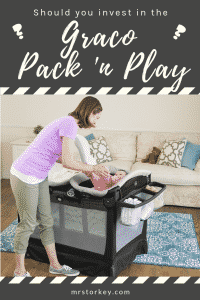 Should You Invest on The Graco Pack 'N Play Playard? While we were waiting for our little princess we did what most parents do. We set up a baby corner, invested in a nice white crib and carefully combined light tones of pink and gray colours through out our baby nursery. There was only one minor detail missing. Being parents who travel a lot, how do we bring with us a bit of that nice feeling that our baby corner brings to us when we are on the road? That is when we decided to invest in a portable crib. After doing a fair bit of research we came across the Graco Pack n Play Playard Snuggle Suite LX. It turned out to be an excellent purchase for us and our baby. For your guys looking for a perfect gift to give to new parents, this is it. We would have loved to get it as a gift. 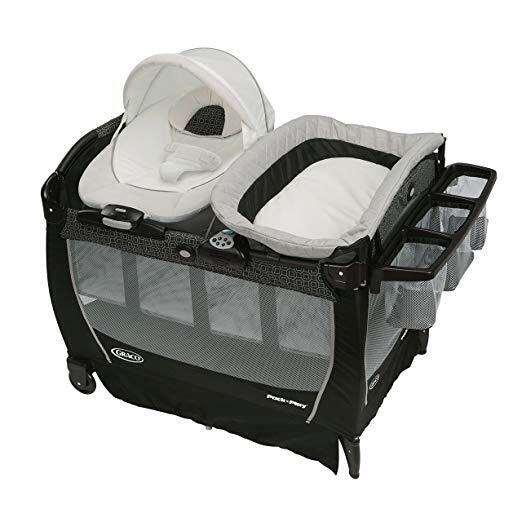 The Pack n Play comes with a infant seat and a changing station. This adorable infant seat is removable and super portable. You can carry it around with your baby which is ideal for moving from room to room. The bouncer can carry a baby up to 18 pounds in its fold. Your baby will feel very comfortable in it. You can even use the Pack ‘N Play as a permanent crib when not travelling. For that we recommend you buy an extra mattress to make it more comfy for the baby. The perfect mattress for that is the Dream on Me 3” Playard Mattress. It is compatible with a long list of play yards and one of the most popular crib mattresses out there. You don’t have to be basic. Get some nice Pack ‘N Play Sheets to match your nursery and give that warm and cozy feeling we all enjoy so much when taking care of our loved little one. By adding these following these two extra tips, you will have converted your baby’s playard into a comfortable bed. There is a whole pletora of options when it comes about finding the perfect sheets for your pack and play mattress. As we discussed about in our Baby Safe Sleep post, we recommend you use 100% cotton fitted sheets. This way you will prevent the sheets from bunching up and posing any type of danger to your baby’s sleep. As for color and design it all depends on your nursery deco. For our baby corner, we are currently using a gray + light pink color palette. Mr. Storkey even has its very own set of pack ‘n play sheets which are made of 100% jersey cotton and fit perfectly most pack ‘n play mattresses up to 5” deep. We also specially designed them so they can be matched easily with any color scheme you can think of and are totally unisex. To get the best out of your mini crib you may also want to invest in a pack ‘n play crib mattress cover. It protects your mattress and crib, extending the durability of your crib as a whole. These are our recommendation for a portable crib that is versatile and can be even used on a day-to-day basis with a few extra accessories. Let us know how you like your Graco Pack ‘N Play Suite LX on the comments.